Nasir Bin Olu Dara Jones, known as Nas, is an American rapper born in 1973. 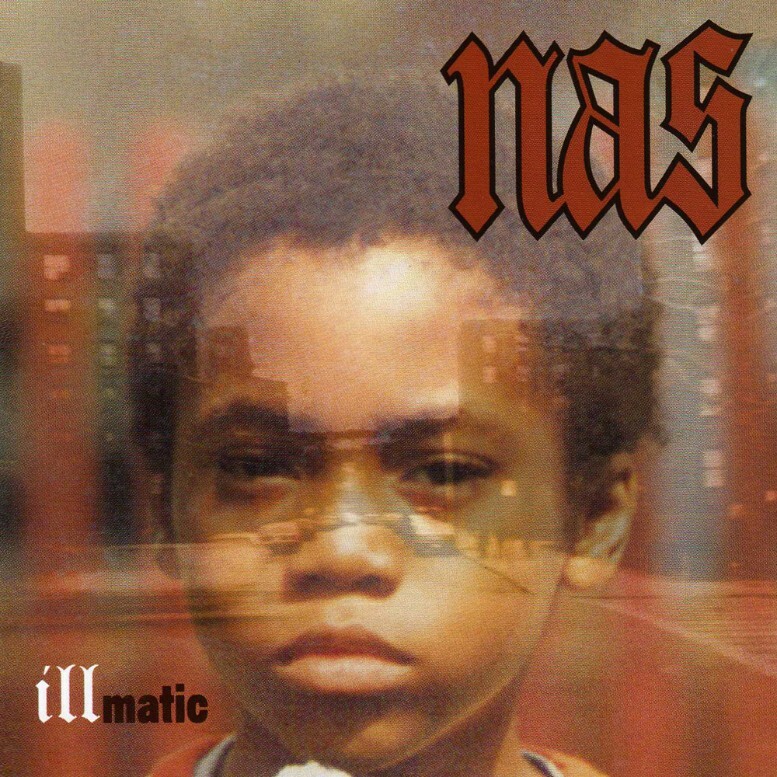 Illmatic is the debut studio album by Nas. The album features multi-syllabic internal rhymes and inner-city narratives based on Nas’s experiences in Queensbridge, New York. The font used for the rapper name at the top is very similar to Old English Text published by Monotype or Notre Dame (the letter “S”), a blackletter from German type designer Karlgeorg Hoefer. For the text “matic” at the bottom to the left, it is probably set in Linotype’s Gothic 13. The Old English Text font identified above is not available for free, please follow the link above and purchase the font. Meanwhile, you can take a look at our collection of fonts for cars, pop music and apparel as well as round-ups of new & fresh fonts around the web. In addition to Illmatic (Nas), Old English Text typeface is also used in the following logos, movie posters or album covers etc., including: Good Charlotte.